Boxing coach C.A. 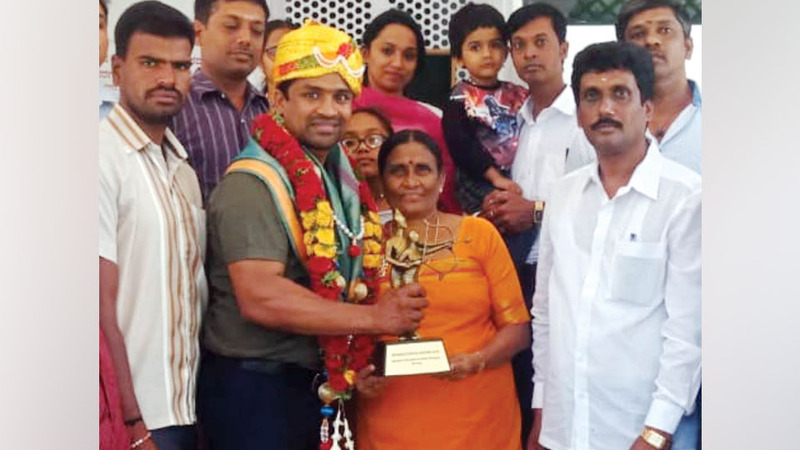 Kuttappa, serving as Subedar in the Army and a resident of Gokulam in city, who was awarded Dronacharya Award-2018, and his mother C.A. Shanthi being felicitated by Ward No.6 Corporator SBM Manju, Kiran Kumar, Darmapal, Basavaraj and others yesterday. Hailing from Chenanda family, Kuttappa has been coaching the Indian men’s boxing team since 2009.